Posted November 1, 2012 by Norburn Lighting and Bath Centre & filed under Energy Saving, Green Living, Tips and Advice . Seasonal Affective Disorder (or S.A.D. for short) is a very real health condition that millions people suffer from. The onset of S.A.D. typically occurs in the last few months of the year, when in the northern hemisphere days become shorter and nights longer. Estimates are that one in ten Canadian are affected by seasonal affective disorder (or SAD). The good news is that it can be easily treated. 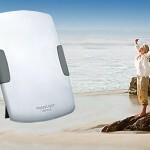 You can beat the winter blues and the effects of seasonal change, improve your mood and energy, regain focus. Scientists have confirmed what mankind has known for many years. Light has the profound power to restore our bodies and heal our spirits. 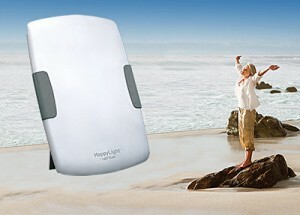 For over 56 years, Verilux – The Healthy Lighting Company – has led the industry in healthy lighting technology. 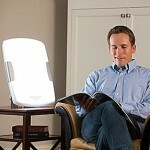 Light Therapy products use Natural Spectrum® Daylight to lift spirits, sharpen concentration, improve skin and sleep patterns and keep you feeling vital and energized. 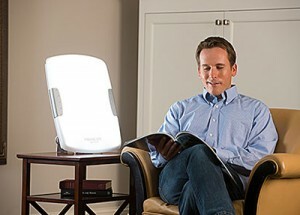 Check out Verilux Light Therapy: the drug-free solution for improved energy and well-being available at both Norburn locations!